Benzoin Liquid Resin, (thick but pourable), Laos; also known as onycha (pronounced oh-nigh-kah, a very thick oil, remove the plastic orifice and warm the bottle in your hand so that the oil will flow). Medicinal Properties: Anti-inflammatory, antiseptic, antioxidant, astringent, deodorant, diuretic, expectorant, and sedative. Traditional Uses: Onycha essential oil has been commonly used as an antiseptic and cleanser for cuts and wounds. Other Uses: Arthritis, asthma, bleeding (slow or stop), bronchitis, chills, circulation, colic, cuts, flatulence, gout, laryngitis, mucus, nervous tension, rheumatism, skin, stomach, stress, urinary tract infection, and wounds. Good for colds, coughs and sore throats. Application: Diffuse or apply on location. Approved by the FDA for use as a food additive (FA) and flavoring agent (FL). 1. To help prevent infection to a cut or scrape, place a drop or two of Onycha essential oil on affected area. 2. Place a drop of Onycha essential oil on a wound to help slow bleeding. 3. Try using a drop of Onycha essential oil under each arm as deodorant. 4. For sore throats, coughs, or colds, add one drop of Onycha essential oil to a teaspoon to honey. 5. Rub 1-2 drops of Onycha essential oil on the stomach for cramping or pain. 6. To help with chapped or cracked skin, rub several drops of Onycha essential oil on skin to speed up healing. 7. For a gargle, add a few drops of Onycha essential oil to four ounces of warm rice milk to help with sore throats or laryngitis. 8. Mix Onycha essential oil with carrier oil, such as olive oil, and rub on chest to help loosen mucus and congestion. A prized aromatic mentioned in Exodus 30:34, onycha stirred debate—whether it refers to a shellfish or a plant. The great Jewish scholar Rashi suggested that onycha is a kind of root, while the Talmud states it came from an annual plant. 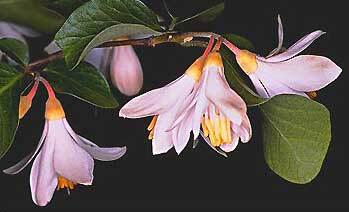 Gary Young believes that styrax benzoin may be the plant’s source for onycha. Like frankincense and myrrh, benzoin is a resin. Onycha was traditionally known for its comforting and soothing properties as well as its benefits for the skin. Ancient people used it to improve complexion and to help nourish the skin. Perhaps some of the beneficial aspects of benzoin were due to not only the oil itself, but also the other oils compounded with it.